Earlier, Iranian Foreign Minister Mohammad Javad Zarif accused "foreign-backed terrorists" of responsibility for Thursday's car bombing attack in the strategic Iranian port city of Chabahar, which left four dead and over 40 injured. Israel, the United States and unnamed 'regional powers' provide support for terrorist groups which carry out deadly attacks in Iran, Iranian intelligence minister Mahmoud Alavi said, Iran's Islamic Republic News Agency has reported. "The security services of the region are involved in these acts of terror. Also, by employing their policies and strategies, the Zionist regime and the US back these terrorist groups," the minister alleged, speaking at a counterterrorism conference in Tehran on Saturday attended by officials from Afghanistan, China, Pakistan, Russia, and Turkey. "In their perspective, the kind of terrorism that is in line with their purposes is not considered to be terrorism worthy of condemnation," Alavi added, emphasizing that countries must create strong intelligence services to prevent such terrorism from growing. Earlier, Iranian Foreign Minister Mohammad Javad Zarif vowed to bring "foreign-backed terrorists" and "their masters to justice" in connection with Thursday's deadly car bombing attack. — Javad Zarif (@JZarif) 6 декабря 2018 г.
Sistan-Baluchestan province prosecutor Ali Movahedirad confirmed Saturday that four suspects had been arrested in connection with the bombing. "Investigations will continue into the role of the suspects in the terrorist operations and the identification of the main agents of the incident," Movahedirad said. 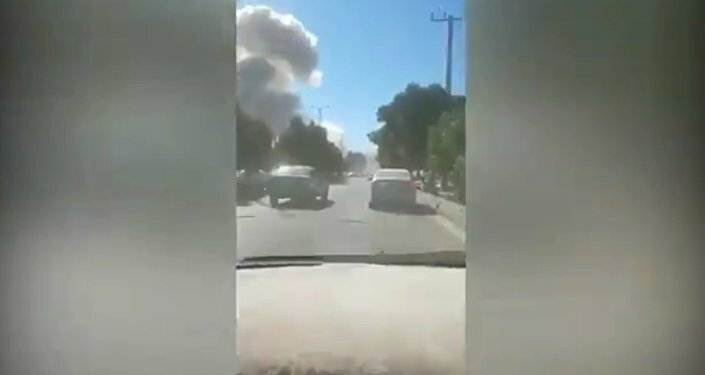 The car bombing and shooting attack targeted a police headquarters building in southeast Iran, killing four people and injuring 42 others, including 32 civilians. The lone terrorist directly responsible for the attack was killed. 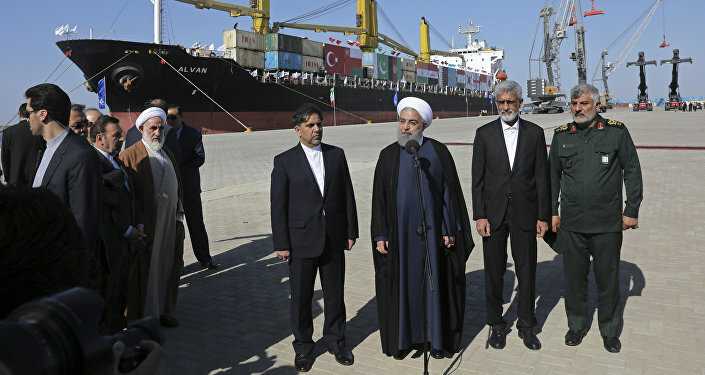 The blast took place in Chabahar, a strategic Iranian ocean-going seaport which was recently granted an exemption to US sanctions, and which has seen heavy Indian investment for trade with Afghanistan and Central Asia. India strongly condemned Thursday's attack, stressing that "the perpetrators behind this dastardly attack should be brought to justice expeditiously." Ansar Al-Furqan, a Sunni terrorist group operating in Sistan-Baluchestan, claimed responsibility for Thursday's carnage. The group is linked to al-Qaeda. * Iran has accused Saudi Arabia of funding most of the Sunni terrorist groups in the region. Riyadh has denied the charges. US and Israeli officials have not commented on the Chabahar attacks, nor the allegations leveled by Iran's intelligence minister. *A terrorist group outlawed in Russia and may other countries.